I have so much love for N.K. Jemisin. She spins incredible, engrossing fantasy novels with strong heroines and impeccable, exciting worldbuilding. As if providing an excellent story wasn't enough, her books get bonus points because they're published as trade paperback originals (my favorite reading format), and installments in her series tend to be published in subsequent years, so readers aren't left waiting. 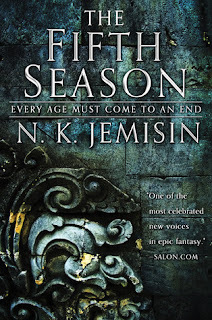 Basically, Jemisin is one of my few auto-pre-order authors, and her latest series does not disappoint. The Broken Earth trilogy is the story of Essa, a woman whose personal world is torn apart when her husband kills their young son and escapes with their young daughter shortly before the an apocalyptic Fifth Season occurs, literally tearing apart the larger world in which Essa lives. Yet these Fifth Seasons are normal in her world, occurring with enough frequency that preceding generations have passed down stone lore detailing methods of survival. This is also a world where a minority population of orogenes possess immense innate power to control and manipulate earth and stones, yet the powerless majority lives in fear of orogenes, and societies are structured around controlling them at best, killing them at worst. We see these structures through the eyes of an orogene child, Damaya, and an older orogene-in-training, Syenite. Their narratives intertwine with Essa's to give a full picture of this well-crafted world in "The Fifth Season." "The Obelisk Gate" picks up immediately where "The Fifth Season" leaves off, and continues the narrative. To explain more would spoil "The Fifth Season," so I'm going to stop my recapping here. The Broken Earth trilogy is deeply concerned with themes of oppression, subjugation, and power. How is power created, who should wield it, what rights and responsibilities and struggles come with power, how should power in various forms be confronted or countered and by whom? These themes run deep, providing a lasting resonance to a captivating fantasy series. I can't wait for the conclusion this year. Verdict: Affirmed. "The Fifth Season" was a book club pick, and most of us went straight on to "The Obelisk Gate." Highly recommended for readers of fantasy and anyone who enjoys strong female characters. 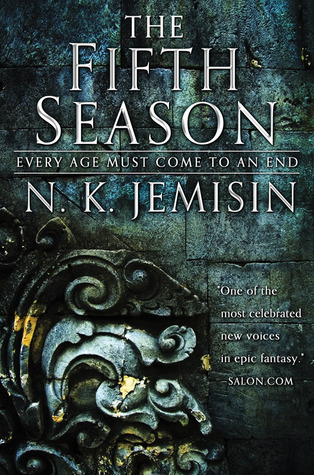 "The Fifth Season" by N.K. 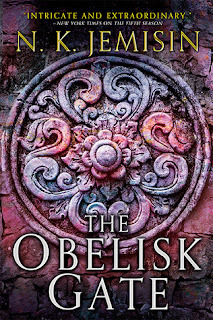 Jemisin, published August 4, 2015 by Orbit. 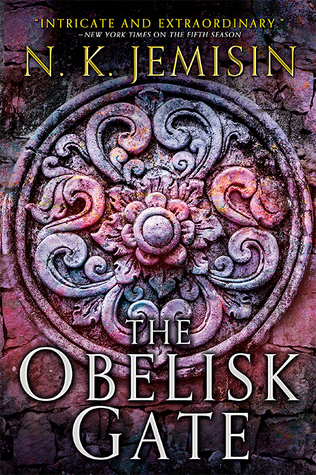 "The Obelisk Gate" by N.K. Jemisin, published August 18, 2016.